During the past decade, Afghanistan has been making progress in improving children’s access to education. Primary school enrollment rate increased from 1 million to 8.5 million between 2002 and 2019. Yet, violence, poverty and drought are among the many issues that threaten to reverse these gains. Approximately 3.7 million children remain out-of-school. Girls and children with disabilities are especially vulnerable. About 60 per cent of the out-of-school children are girls, and only 5 per cent of children with disabilities are able to access education. Only half of the schools in Afghanistan are housed in buildings, and 1,000 schools remain inactive or closed due to security issues. Reports of attacks on schools have increased significantly during 2018, putting children at risk of injury, increased violence and threats of dropping of out-of-school. The ECW programme in Afghanistan will contribute to reducing the number of out-of-school children in Afghanistan by identifying the most vulnerable boys and girls who have been affected by emergencies, and providing them with immediate learning opportunities. Using community-based and innovative initiatives over a three-year period, access to quality education will increase particularly for girls, and at the same time teachers and community members will be key stakeholders in the process. The multi-year response programme, whose total cost is US$ 157 million is facilitated by Education Cannot Wait and is implemented by a broad coalition of international and national organisations. 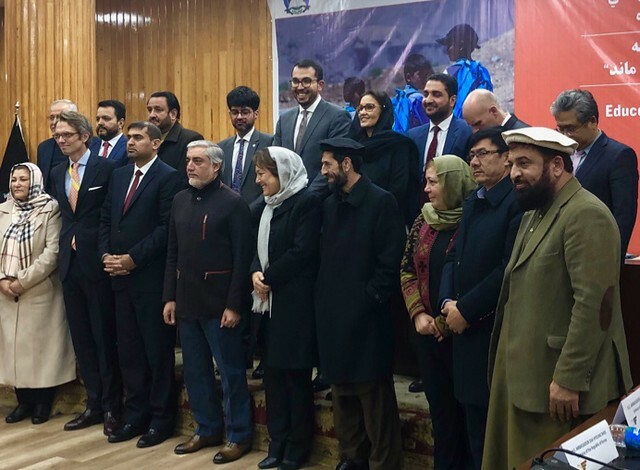 Building on the significant progress made through Afghanistan’s first emergency response in providing most vulnerable children access to schools, the programme aspires to raise over US$ 35 million for unmet needs in the first year. This programme resonates with the aims of the Ministry of Education Girls’ Education Policy to remove barriers to education for all Afghan girls and women; to close the gender gap in the school enrollment of boys and girls, and to bring out-of-school girls into the education system; and to undertake affirmative action for girl students and female education personnel. Afghanistan Ministry of Education, IOM, OCHA, OHCHR, UNAMA, UNESCO, UNFPA, UNICEF, UNOPS, UNHCR, WFP, WHO, the World Bank and Education Cannot Wait, national and international NGOs such as Save The Children, Norwegian Refugee Council and International Rescue Committee.